After studying to become a therapist and crisis intervention counseloreven doing her masters thesis on the stages of bereavementChristina Rasmussen thought she understood grief. But it wasnt until losing her husband to cancer in her early 30s that she truly grasped the depths of sorrow and pain that accompany loss. Using the knowledge she gained while wading through her own grief and reading hundreds of neuroscience books, Rasmussen began to look at experiences in a new way. She realized that grief plunges you into a gap between worldsthe world before loss and the world after loss. She also realized how easy it is to become lost in this gap. 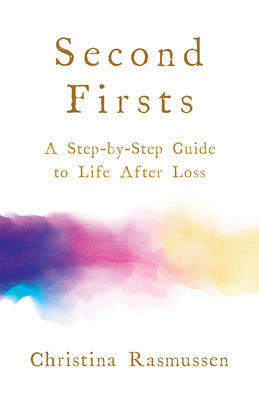 In Second Firsts, Rasmussen walks you through her Life Reentry process to help you break griefs spiral of pain, so you can stop simply surviving and begin to live again. She shows you that loss can actually be a powerful catalyst to creating a life that is in alignment with your true passions and values. The resilience, strength, and determination that have gotten you through this difficult time are the same characteristics that will help you craft your wonderful new life. Her method, which she has used successfully with thousands of clients, is based on the science of neuroplasticity and focuses on consciously releasing pain in ways that both honor suffering and rewire the brain to change your perception of the world and yourself. Using practical exercises and stories drawn from her own life and those of her clients, Rasmussen guides you through five stages of healing that help you open up to new possibilities. From acknowledging your fear, to recognizing where you stand now, to taking active steps toward a new life, Rasmussen helps you move past the pain and shows that its never too late to step out of the gap and experience life againas if for the first time.